The Chiari network, a net-like structure within the right atrium, has been described as an embryonic remnant of no clinical significance. Its role in facilitating paradoxical arterial embolic events and as a potential site for thrombus formation has been reported in the literature. We illustrate the protective filter-effect of the Chiari network in a very old women who presented with the clinical signs and symptoms of acute cor pulmonale. A 92-year-old woman was admitted to the emergency room, because of on-going dyspnea, tachypnea, tachycardia, and systolic blood pressure >100 mmHg. She also had nausea and vomiting. Electrocardiogram showed sinus tachycardia (heart rate: 100 bpm) with incomplete right bundle branch block and minor nonspecific ST-T alterations [Figure 1]. Arterial blood gas analysis revealed hypoxemia and hypocapnia. Blood tests evidenced markedly elevated levels of D - dimer (>20000 ng/ml), NT-proBNP (>500 pg/ml), liver transaminases (>100 U/L), C-reactive protein (>7 mg/dl), and white blood cell count (>20,000/ml). Troponin levels were slightly increased (0.1 ng/ml, range: 0–0.04 ng/ml). An urgent two-dimensional-echocardiography demonstrated severe dilation of the right heart chambers with the McConnell's sign and raised systolic pulmonary artery pressure, suggesting acute cor pulmonale. Surprisingly, it was also detected a large, S-shaped and extremely mobile right atrial thrombus, tethered to Chiari network, freefloating and prolapsing through the tricuspid valve into the right ventricle [Figure 2], panel a, red arrow]. The patient rapidly underwent a thoracic computed tomography scan, which showed obstructive thrombosis of the main pulmonary arteries [Figure 2], panel b]. Then, she was admitted to the department of pneumology and was treated with subcutaneous unfractionated heparin (enoxaparin sodium 6000 IU SC) twice daily. A deep venous thrombosis (DVP) of the left popliteal vein was also diagnosed by a Doppler ultrasound imaging of the lower extremities. During the following days, the echocardiographic reevaluation revealed the complete resolution of the thrombus from still enlarged right heart cavities [Figure 2], panel c]. The patient completely recovered and was discharged from the hospital on the 15th day. The Chiari network, an embryonic remnant from the persistence of the right valve of the sinus venosus, was first described in 1897. Its present in only 1.5%–3% of adults. It originates from the eustachian valve, an embryological remnant of the inferior vena cava (IVC), runs along the posterior wall of the right atrium, and has the role of directing blood from the IVC toward the foramen ovale in fetal life. Echocardiography is an excellent tool for the diagnosis of the Chiari network. In transthoracic echocardiography, this network presents as a highly reflectant echo target in several locations in the right atrium, sometimes highly mobile. The Chiari network is mostly an incidental finding, and itself bears no major clinical significance. Its presence was recognized as a potential risk factor for paradoxical arterial embolic events since the network may encourage blood flow away from the IVC and toward the interatrial septum causing right-to-left shunting. In addition to its role as a risk factor for arterial embolic events, it has been suggested that the Chiari network may act as a nidus for thrombus formation and a part of the strands may embolize.,, By initially entrapping the fragments of thrombi from a DVP an even bigger clot may develop, which once the filter-like effect of the Chiari network is overcome, could result in a fatal massive pulmonary embolism (PE). The present case supports the action of this embryonic remnant as a protective filter, which may have prevented the occurrence of a fatal PE in a very old patient. Loukas M, Sullivan A, Tubbs RS, Weinhaus AJ, Derderian T, Hanna M, et al. Chiari's network: Review of the literature. Surg Radiol Anat 2010;32:895-901. Obaji SG, Cooper R, Somauroo J. Chiari network: A protective filter against pulmonary embolism in a case of polycythaemia. BMJ Case Rep 2012;2012. pii: bcr0520114289. Werner JA, Cheitlin MD, Gross BW, Speck SM, Ivey TD. Echocardiographic appearance of the Chiari network: Differentiation from right-heart pathology. Circulation 1981;63:1104-9. Schneider B, Hofmann T, Justen MH, Meinertz T. Chiari's network: Normal anatomic variant or risk factor for arterial embolic events? 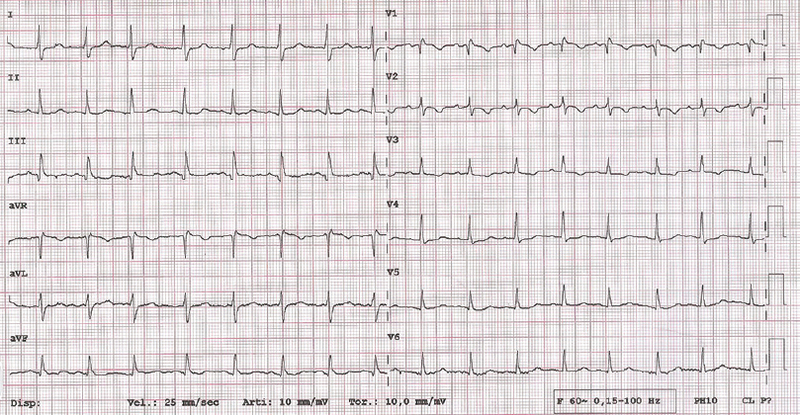 J Am Coll Cardiol 1995;26:203-10. Yater WM. The paradox of Chiari's network. Review and report of a case of Chiari's network ensnaring a large embolus. Am Heart J 1936;11:542-52. Powell ED, Mullaney JM. The Chiari network and the valve of the inferior vena cava. Br Heart J 1960;22:579-84. Schwimmer-Okike N, Niebuhr J, Schramek GG, Frantz S, Kielstein H. The presence of a large Chiari network in a patient with atrial fibrillation and stroke. Case Rep Cardiol 2016;2016:4839315. Casazza F, Becattini C, Guglielmelli E, Floriani I, Morrone V, Caponi C, et al. Prognostic significance of free-floating right heart thromboemboli in acute pulmonary embolism: Results from the Italian pulmonary embolism registry. Thromb Haemost 2014;111:53-7. Motovska Z, Widimsky P, Bilkova D, Penicka M, Linkova H, Kautznerova D, et al. An embolus in the right atrium caught in the Chiari network and resistant to thrombolysis. J Thromb Thrombolysis 2010;30:114-8. Goedde TA, Conetta D, Rumisek JD. Chiari network entrapment of thromboemboli: Congenital inferior vena cava filter. Ann Thorac Surg 1990;49:317-8. Rizzello V, Lombardo A, Colizzi C, Pennestrì F. Entrapment of a floating thrombus in the right atrium by persistent Chiari's network: A barrier to massive pulmonary embolism. Int J Cardiol 2009;132:e40-1.